We are currently recruiting for three new developers in our Pretoria office. The successful candidates will work on a new software platform. There is a strong focus specifically on web, iOS and Android app development. Our team of programmers report to our head of software development. The software development team is a small group of programmers, based in Pretoria, and work with our teams in London and Edinburgh. They’re a creative bunch of perfectionists, and they’re good with mathematics. If you like a challenge, and want to be part of an awesome team of agile programmers, coding the next big software platform, then this might be the job for you. We’re not like most of the big companies. If you like to work for a big boring company with lots of bureaucracy, where software development projects run over several years, and nobody knows how their bit fits into the bigger picture, then this won’t be the job for you. As a data analytics developer, you must enjoy working with leading edge technology, using advanced mathematical techniques, and being part of a solutions-focused team. As a developer, the role will be to collaborate as part of a small team of internationally-based developers and consultants. Our offices are in London, Edinburgh and Pretoria, and we use the latest technology to allow us to work securely on our projects from various locations. We are a small international software company based in the UK and South Africa. 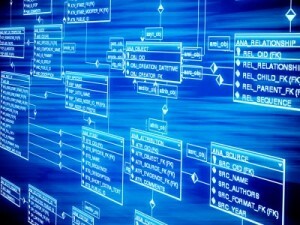 Our data analytics software helps our clients make clever use of their data. Our software uses the latest techniques in data fusion and data analytics. Our software developers are a creative bunch, and they like efficient programming in the latest software languages. And they’re a bunch of perfectionists.